Welcome to Greenwood Memorial Terrace. 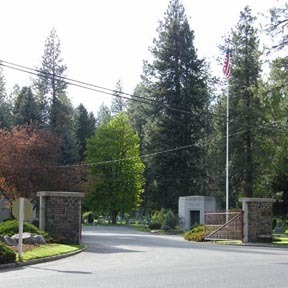 A walk through this cemetery will be a tour through Spokane's history. In the late nineteenth century, Spokane Falls of the Washington Territories had a problem. Entrepreneurs were flocking to the young city attracted by mining, railroad, and timber opportunities. People came to make their fortune, and others came to leverage a fortune they already had. The small city cemeteries, once on the edges of town, had been rolled over by development and were strained by a population that threatened their capacity. Established in 1888 and designed on some of Europe's great Victorian garden cemeteries, Greenwood was a place for the general public to enjoy refined outdoor family leisure. Developed as domesticated landscape with natural features including paths, a water fall, spring fed fountains, and serpentine roads winding along natural contours of the land, Greenwood was no less than the grand vision of the young city itself. 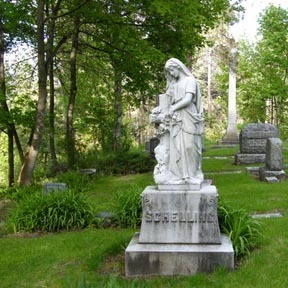 The first burial in Greenwood is that of Mrs. H.F. Nothbohm, on July 1, 1888. About fifty bodies exhumed from the old Mountain View Cemetery located in Cannon's Addition on the lower South Hill, were moved to Greenwood, along with a number of bodies from the Moran Prairie Cemetery, the pioneers cemetery in Spokane. 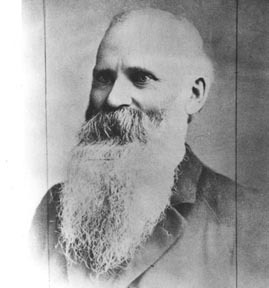 A.M. Cannon 1905: A.M. (Anthony) Cannon was an 1870s settler who, along with John J. Browne, helped develop Spokane through banking, real estate, and civic leadership. 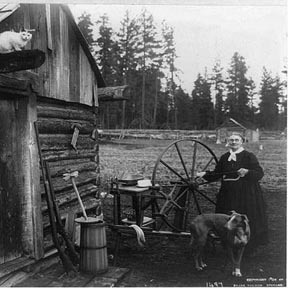 Source: Washington State Archives. Eastern Region Branch, City of Spokane Historic Preservation Photographic Collection. The Eastern Region Branch of the Washington State Archives retains all original prints/negatives. 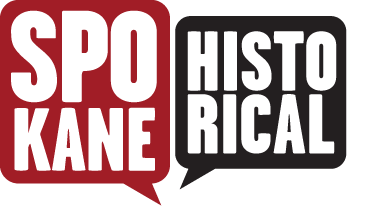 Anne Coogan-Gehr, “Welcome to Greenwood Cemetery,” Spokane Historical, accessed April 19, 2019, https://spokanehistorical.org/items/show/30.